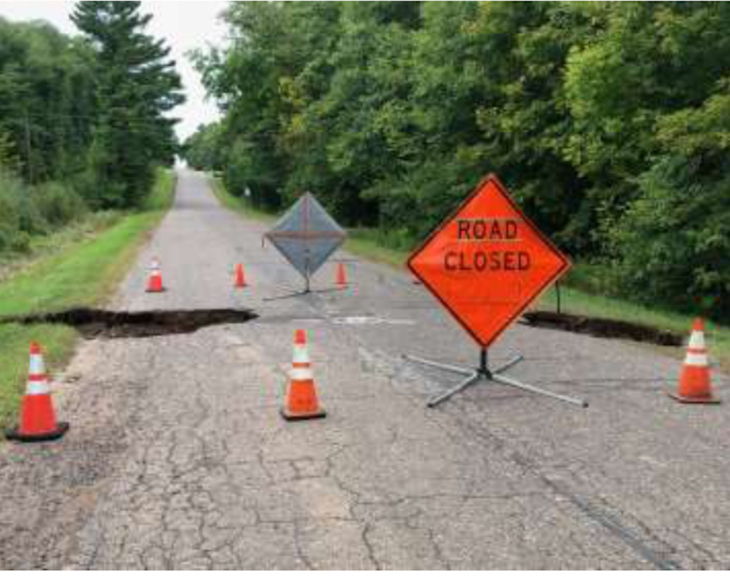 On September 18th 2018, the National Weather Service began publishing storm prediction briefings, indicating heavy rainfall throughout Barron County from the afternoon of September 19th through the evening of September 20th. On September 19th, light rain blanketed the area with approximately 1-inch of water. No reports of flooding were reported in this time period. 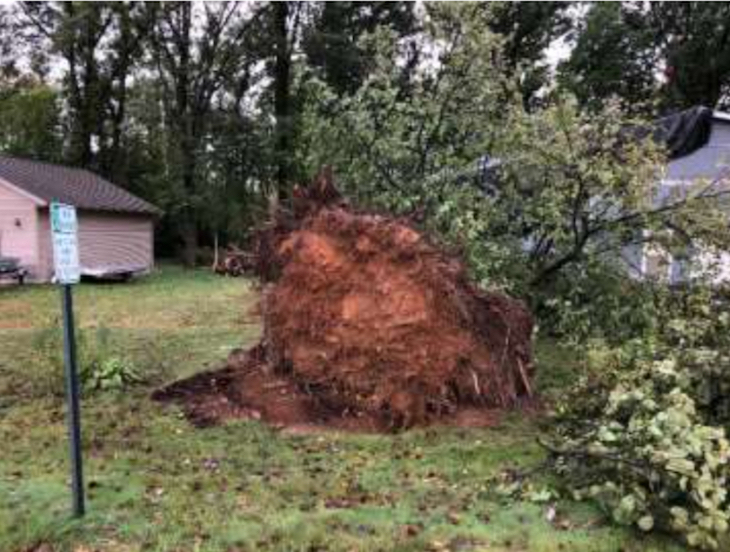 On September 20th at approximately 7:00pm, multiple rounds of severe thunderstorms produced several inches of rainfall accompanied by increased wind speeds. 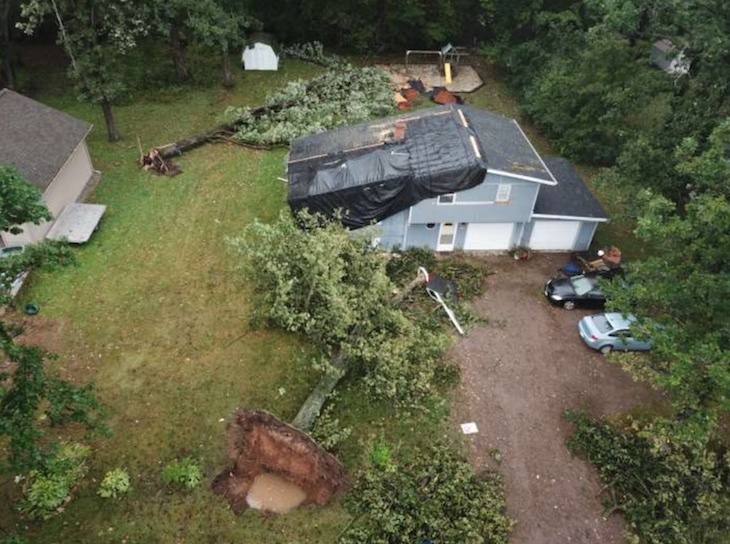 Storms moving west to east resulted in the 911 Center receiving multiple reports of trees down, flooded streets, and storm-related structure fires in several different areas. 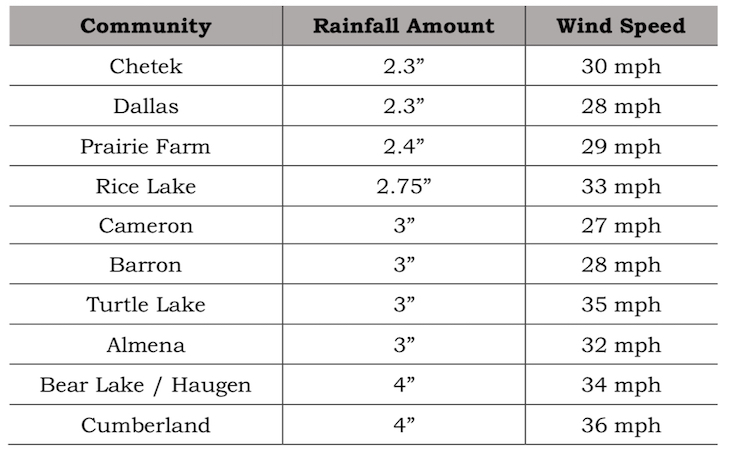 Wind speeds and rainfall amounts varied across the county as indicated on the chart below. During the storm, several roads were reported as water-covered, however were passible immediately after the water receded. A culvert washout occurred at 25-3/4 Avenue and 3rd Street in Cumberland, closing the road and requiring traffic to detour. 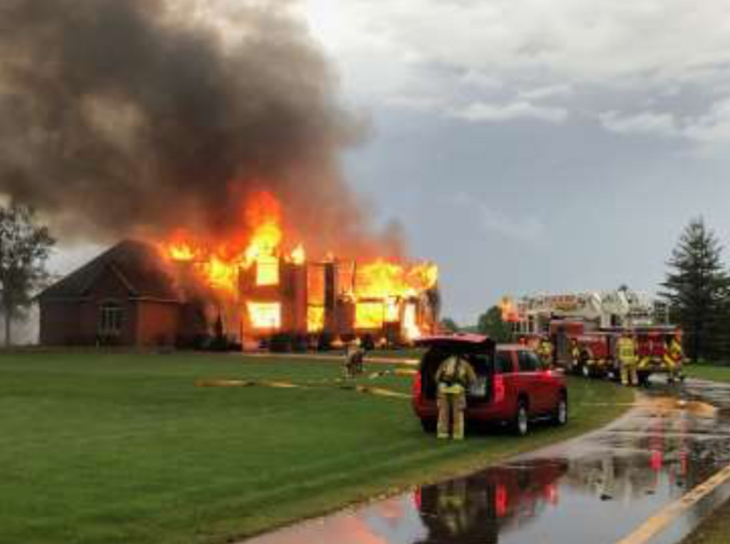 At 4:40pm, 911 Dispatchers received reports of a residential structure fire caused by a possible lightning strike in the 1900 block of 22-1/2 Street in Rice Lake. Responding departments included the Rice Lake Fire Department, Cameron Fire Department, Barron Fire Department, Bear Lake / Haugen Fire Department, LMC EMS, Barron County Sheriff’s Department, Rice Lake Police Department, WE Energies, and Xcel Energy. At 5:17pm, the Cameron Fire Department responded to a small residential electrical fire in the 1500 block of 22-1/8 Street in Cameron, which originated in the fuse panel. Additional incidents included trees struck by lightning and blown over by the wind. At 4:40pm on September 20th, emergency crews responded to New Auburn for property damage caused by high winds. In the 600 block of N East Street, strong winds removed half of the roof on a split-level home relocating it to the backyard. Two adults and two kids were in the home at the time of damage, however no injuries were reported. Large trees on the property were also blown down, indicating the wind speed and strength.